Inspirational and thrilling settings of classical cantorial art music, contemporary congregational melodies, yiddish theater pieces and more! Listen to samples from Kol Bat-Ami! Creative, magical and inspirational classic and original Jewish music for Kids! Fun, fresh, exciting! 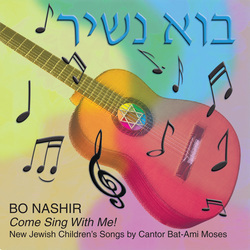 "Bo Nashir is one of my kids' favorite CDs. 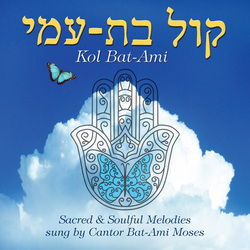 It is Bat-Ami's voice that we hear in our heads when we sing to welcome Shabbat or yom tov. The CD is upbeat and fun without being over-the-top or shrill. It's singable, in a Laurie Berkner-esque way." Jewish Educator and mother of two! Listen to samples from "Bo Nashir, Come Sing With Me!"